Prague is the capital city of the Czech Republic. 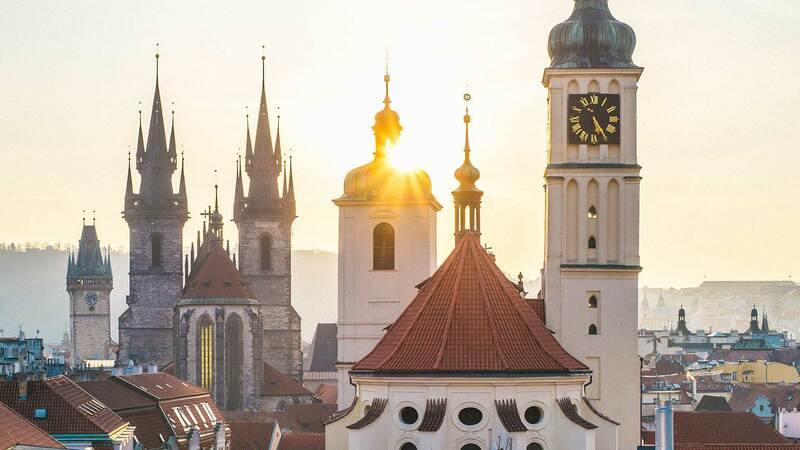 “The City of a Hundred Spires” has over 1.2 million people with less than 0.5% evangelical believers. It is the country that birthed the great missionary movement known as the Moravian Missionary Movement. This movement sent thousands of Christians to the nations. It is also home to John Hus who began the reformation in the Czech lands. Presently the state of evangelicalism is much different. Nearly six out of ten would say that they either are atheist or have no religion. Although it is said that they are non-religious, this is not true, because often Czechs consider themselves spiritual just not religious. Currently our team is pursuing a vision to plant churches in three unreached unengaged districts of Prague. Currently we have one established church plant, a second in the beginning phases and the third three to five years out. Czechs are coming to faith slowly, although we see God being faithful and raising up workers among Czechs to plant churches alongside their brothers and sisters in these districts. Nearly six out of ten would say that they either are atheist or have no religion. We are seeking to plant churches in Prague city districts that have no church. We seek to multiply: disciples, new groups and train Czech leaders. What can participants expect? Participants will arrive in Prague to an enthusiastic, fun and experienced team. Participants will grow in understanding and application of our team strategy. One of the greatest needs during the Residency would be to engage through English ministries: teaching children, adults, moms and every other segment that allows us to connect with Czechs in a significant way. In addition participants will be involved in starting Bible studies that lead to groups of new believers. The goal of Summer LINK Prague is to Make Disciples that make disciples. The team will be living in close proximity to a Czech agricultural university that has many foreign exchange students. The daily focus will be on meeting students and engaging them with the gospel. Practically this includes joining them at lunch in the cafeteria, finding pick-up games of sports, starting a Bible study or another means of living out the gospel in word and deed. Our dream is that through God’s grace we would see a church planted in the area surrounding the agricultural university where believers are reaching the campus with the gospel.